USD $ Not even a dime! 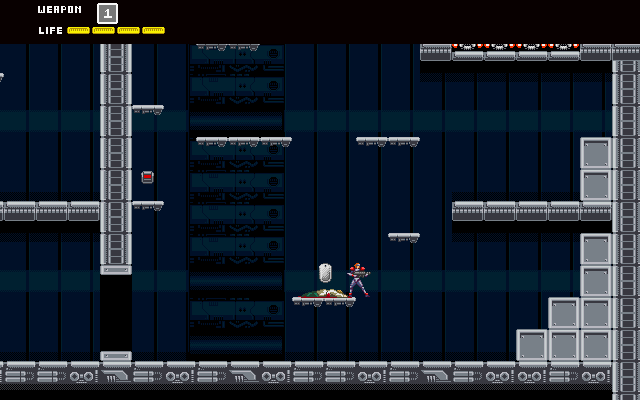 MRC6-454 is an action platform mini game, focused on exploring, set in a science fiction universe. It was developed by Thais in under five days, for some mysterious reason, with Danilo and Thommaz sparing some time to help with their specialties, art and music respectively. The whole game actually took four days to completion, and though it has a different feel and pacing from the game Oniken, it shares much of its code base. 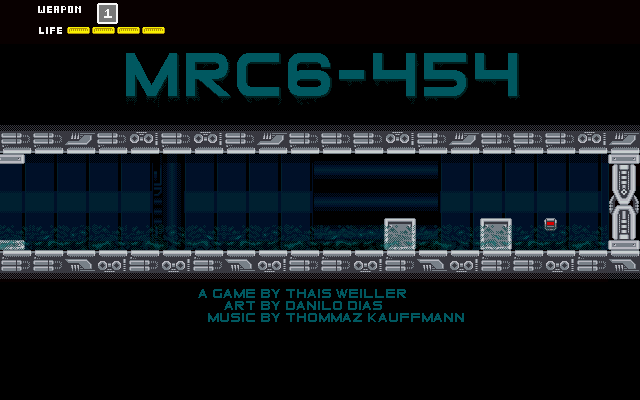 For that reason, we thought it would be fair to release MRC6-454 as a free game, a gift to our dear fans! 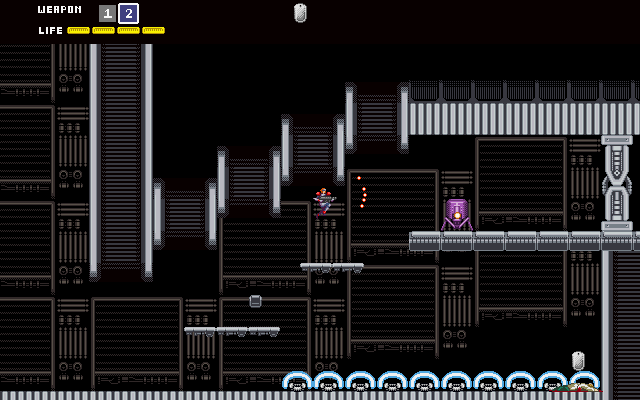 Space themed game focused on shooting and exploration, featuring a non-linear level design. 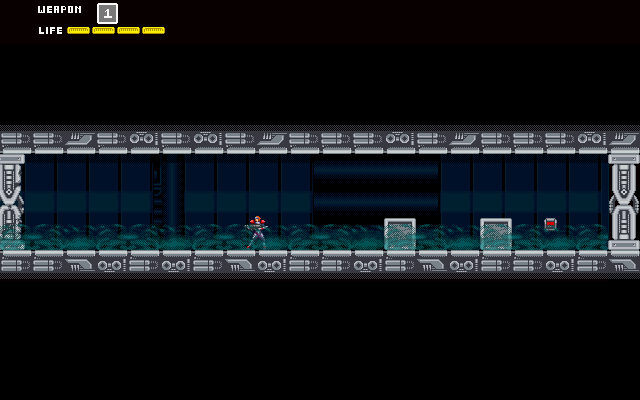 The whole unity of the game lurked from the small concept "SPACE PLATFORM EXPLORATION GAME". One of its design goals was to maintain a dark atmosphere throughout the game, briefly compensated by the humor of its dialogues. 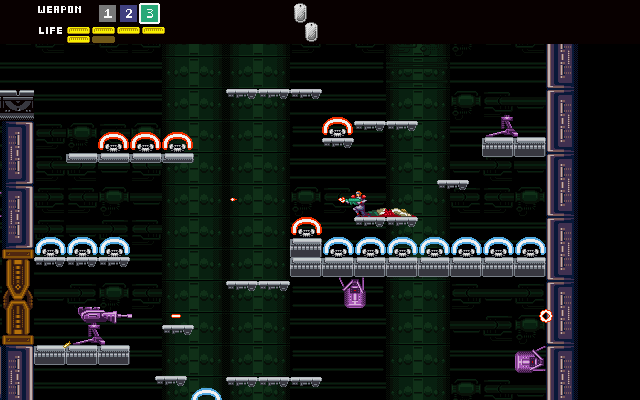 In some ways, the game was willing to pay a very humble tribute to the Metroid series using some of its key concepts, like the space exploration, female bounty hunter protagonist, and the game's ending. But it twists these concepts with other elements like a talking protagonist, who happens to be very witty, a focus on action, player progression based on stage segmentation, and rude language. As a result, MRC6-454 ends up being similar to one of Metroid's main inspiration: the Alien movie (1979).text>The old gods have forgotten this land. No one could save our people when darkness started spreading and collecting human souls for its army. The game is set around bounty hunter Rachel E., who takes an apparently easy job of searching for survivors inside the research base MRC6-454, and ends up trapped inside it. In order to escape, Rachel must understand some of the technology researched on the facility, and use them in her favor while surviving the malfunctioning security system. It´s always good to check what we are up to now... http:. More information on JoyMasher, our logo & relevant media are available here.